Bahia Prime Hostel v Salvador, Brazílie: Zarezervujte nyní! First capital of Brazil, the Bahia State capital, the mixture capital. From food to music, passing through religiousness, nobody discusses Bahia is different, nobody discusses Salvador is unique. 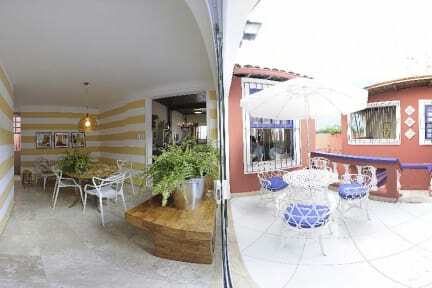 And if you want to enjoy the city and the state with originality and comfort, the ideal place is Bahia Prime Hostel. 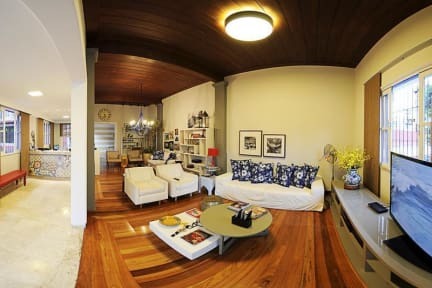 Settled in a house with Brazilian colonial style, with almost 100 years of history and 900m² of built area in the traditional neighborhood of Barra, it was completely reformed to serve with excellence visitors from all over the world. We have rooms for 12 (Asia) and for 18 (Africa) guests, but we also offer the privacy of a room with a double bed (Oceania) and a suite (Europe). We provide cable TV in the lobby, air-conditioning in every room, individual lockers with keys, free wi-fi internet, and public areas monitored by cameras, 24 hours. Everything to guarantee your pleasure and your peacefulness. Come and see the Bahia Prime Hostel. Besides cash, we accept Visa,Mastercard and America Express credit cards.